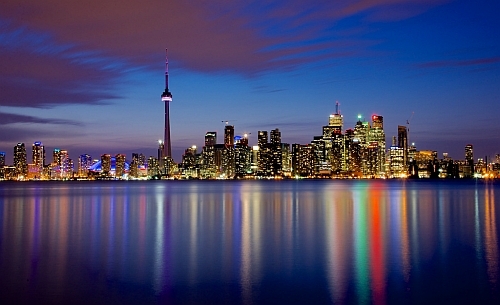 Sunwing has dropped the price of their June flights from Vancouver to Toronto down to $329 CAD roundtrip including taxes. The $329 roundtrip price (per person) is based on 2 people purchasing the flight. Sunwing offers a small discount for the 2nd seat on certain dates through their website. - The $329 roundtrip price (per person) is based on 2 people purchasing the flight. Sunwing offers a small discount for the 2nd seat on certain dates through their website. vancouver, yvr, sunwing, flight deals, toronto, ontario, yyz, canada and north america. 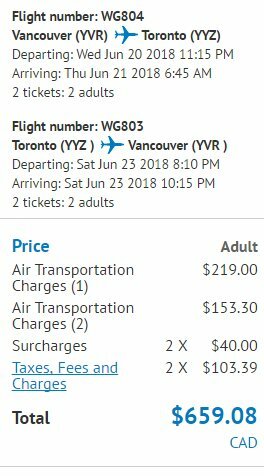 4 Responses to "Vancouver to Toronto (or vice versa) - $329 CAD roundtrip including taxes | non-stop flights"
They then ADD the GST and PST to that on the following page. I called and complained and all I got was 'That's the way it is - call Customer Service if you are not happy. Called Customer Service but they only accept complaints in writing. I will be following up with the government consumer affairs people. I would like to support the other comments here in thanking Chris for his tireless work helping us find deals but still warn people of Sunwing's reputation. They really are the worst airline I've ever flown, domestic and international combined and I thought getting a deal was worth putting up with some aches and pains but god... it's really not. They lie, they rip customers off, they cancel or delay flights for 8-12 hours and refuse to compensate or help, and their customer service is a joke. I was stranded in an airport once while they delayed our flight 2 hours... then 4 hours... then 6 hours and the airport was closed by 1am so we had nowhere to go or sleep except to sit around the food court. They wouldn't put us up at a hotel or give a definitive time when we'd be leaving so you couldn't even leave unless you wanted to forfeit your ticket. It got even worse when we finally got on a flight like 12 hours later. I have nightmares about the experience still. I just made a booking and, despite Sunwing's advertised 40% off second fare, I was invoiced full fare for the second flight. I will have to call and argue with them now to get that extra charge taken off. Brutal.